Head to Eckert’s this September to take part in our annual AppleFest tradition! This fun, family-friendly event features a wide range of activities and attractions. Come enjoy some fabulous fall activities at one of our farms in the greater St. Louis or Lexington area. Kick off your visit to Eckert’s with a classic apple-picking adventure. For more than 100 years, the Eckert family has been growing delicious, juicy apples. Our orchards include a number of apple varieties, including Golden Delicious, Red Delicious, Gala, Fuji and Granny Smith apples. These delectable fruits are fragrant and ripe for the picking during our AppleFest events. While the apples are certainly the star of the show at Eckert’s, there’s so much more to do during your visit to our farms. Enjoy a scenic wagon ride through our orchard. Check out live entertainment while tempting your taste buds with our great festival foods, including kettle corn, caramel apples, cider donuts and more. 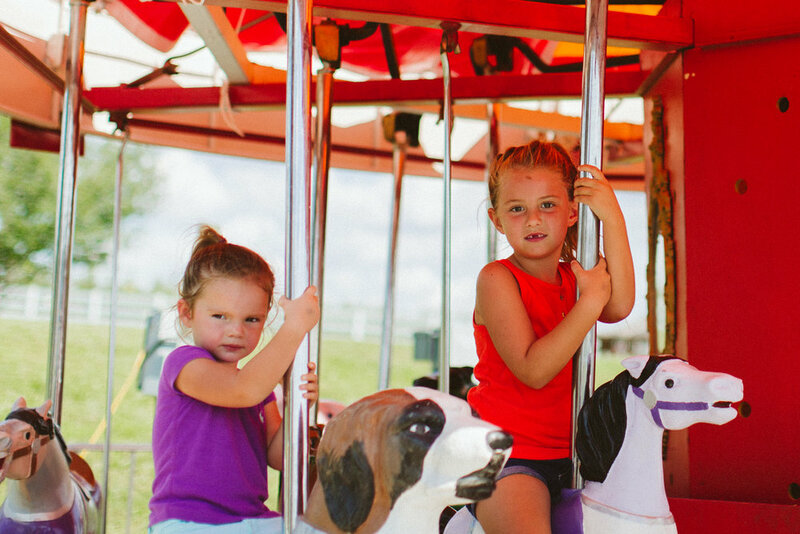 Stop by the children’s carnival, which features thrilling rides, fun activities, and a petting zoo. Whether riding a pony or feeding a goat, your young’uns will enjoy getting acquainted with friendly farm animals. With so many amazing activities to enjoy, this an apple-picking adventure for the whole family! Get a taste of what life is like on the farm, keep the kids entertained with wholesome activities and go home with some delicious apples at the end of the day. AppleFest will be held at Eckert’s locations in Belleville, Millstadt, Grafton and Versailles. Fees and some activities vary by location.